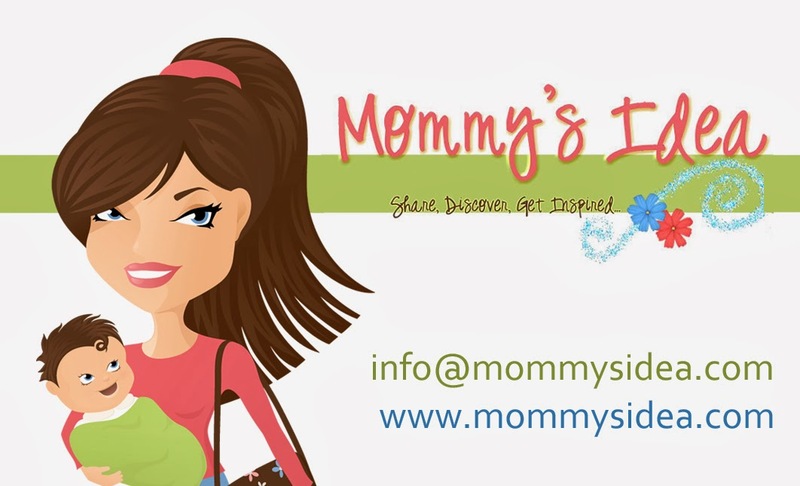 Mommy's Idea: Win a Book from the Lollipop Book Club! Win a Book from the Lollipop Book Club! This is a really great gift idea for kids! The Lollipop Book Club will send the child a book every month. Along with the book, they get an adorable handmade lollipop that matches the theme of the book and a note from you. For example, Too Many Frogs comes with, yup, you guessed it, a cute frog lollipop. There are several options- you can order a single book or a package for a selected number of months. You can choose a pre-designed package, or select the titles yourself. I can’t do it justice without pictures, so hop on over to http://www.lollipopbookclub.com/ and check it out for yourself! 2. Come back here and leave a comment telling us your favorite book or who you’d give it to. Contest ends at 11:59 PM EST on Wednesday, May 13, 2009. Tell us a little about you . . . I am a mom of three kids: Daniel- 7, Jack- 5, and Katelyn-almost 2. I spent 14 years doing benefits consulting and management, and finally left the corporate world after I had Katelyn. I am enjoying the extra time I have with my children immensely. In my spare time, I sneak in a book (Jodi Picoult is my new favorite author) and take power walks around town. What is your business and where can we find it? My business is The Lollipop Book Club- www.lollipopbookclub.com. It is a company specializing in the gift of books for children through age 12. We offer flexible book packages including single books, 3-month, 6-month, and 12-month subscriptions. Each book arrives in a red envelope addressed to the child, along with a personal note from the giver (on a sticker for the inside of the book) and an adorable handcrafted lollipop. This is truly the gift that keeps giving year round. Also, the single book gifts are priced just right for birthday party gifts. Is it mom-owned, invented, created . . .? Yes, The Lollipop Book Club is mom-created and owned. My inspiration came from the frustration I felt at the growing piles of toys in my house, and the lackluster response I received from my children when giving books as gifts instead of more toys! My kids love to read books so I wanted to figure out a way to make it more fun to package them. Since kids love mail, adore sweets, and enjoy books, I found my solution. After talking to lots of other moms (grandmoms, aunts, godmothers, etc.) I realized I was on to something. Hence, The Lollipop Book Club was born! A little about your entrepreneur journey so far? My journey has been incredible so far, and I feel like I am just at the very beginning. I have learned that it is possible to start a business with minimal financial investment, but it takes a tremendous amount of hustle and hard work. There are a multitude of resources available and tons of people willing to help, you just have to find them! The most exciting thing is to see the way in which marketing and advertising is changing. There are so many mediums to get word out to your target market for very little investment or for free. All kinds of doors are opening to small business owners making it very possible to achieve my dream. Where else can people find you? I have a personal Facebook profile listed under my name- Karen Gallagher- so please invite me as your friend! I am in the process of setting up a business profile (it’s on the to-do list). As far as Twitter and a blog…those are in the works too. You can sign up for my newsletter and I’ll keep you posted when I’ve got my social media ducks in order! Anything else you’d like to share? I’d just like to encourage everyone to visit my site. Even if you are not ready to purchase a gift, you’ll have a ton of fun browsing through all of the children’s books that I have personally selected to be part of the program. Also, I am extremely flexible in the way that I run my business. I always encourage my customers to ask questions. Special requests are more the rule than the exception, and I like it that way! I'd love to have the book "Knuffle Bunny Too- A Case of Mistaken Identity". Thanks for the giveaway! I'd love this for my niece! I like The Wolf Who Cried Boy for my grandson. My favorite book on there is The Hundred Dresses. Thanks. I'd choose Tokyo Friends for my God-daughter. I would love the book The Puppy Who Wanted A Boy. That would be great for my grandson. Thank you so much! I'd like to win "The Hundred Dresses" for my niece. Thanks for the chance. Thank you for a great giveaway! I would love to win and give this to my daughters. Thank you! Goodnight Moon for my daughter. I would give my daughter "The Napping House" because I loved it as a kid! My lil one just discovered Fancy Nancy and would love to have one. I'm following your blog. Please sign me up for a free book! I added your button to my blog. Please sign me up for a free book! I think "Rumble in the Jungle" sounds cute!! I posted about your giveaway on my blog. Please sign me up for a free book! I'd love the I Love You Through and Through book for my daughter! I'd choose, "Otherwise known as Sheila the Great!" for my daughter. And for my son, I would choose Knuffle Bunny! I'd pick Bedhead for Julius. Tokyo Friends would be my choice for Alison. She has a Japanese friend and this would be perfect. I would get mu daughter A Bear Called Paddington-I loved those stories when I was a kid. The Ella, the Elegant Elephant book is my favorite-I would have it sent to my little granddaughter to brighten her day! The book The Whole Green World would be perfect right now. Precious Girl is helping plant a garden and has her own little plot for flowers. She'd love it, and could probably imagine herself going along ont he imaginary journey. I like the The Legend of the Easter Egg. Your button is in my sidebar. i would like the wolf that cried for my grandkids. My daughter would love Fancy Nancy and the Posh Puppy. I would like to give The Whole Green World to my grandson. I liked Bunnicula when I was growing up and I think my 9 year old would enjoy it too. I would give my son "Good Boy Fergus". He loves dogs! Thanks for the giveaway! I'd like A Bear Called Paddington. I am subscribed to Mommy's Idea by email. I think my youngest son, Micah, would totally love this! I think he'd like the what If you Met a Pirate? book! I follow you on google! I would like Fireman small for my son. He loves Firemen and Firetrucks! My son would like #173 The Stinky Cheese Man and Other Fairly Stupid Tales.He has a geat sense of humor. Thanks! My favorite book on there is The Hundred Dresses. Knuffle Bunny Too- A Case of Mistaken Identity. Thanks. I would love to have Fancy Nancy and the Posh Puppy for my daughter. Thank you! I'd like to get Even Firefighters Hug Their Moms for my 3 1/2 y.o. grandson. My sons would love the book, Firetruck by Robert Munsch or I Love Trucks! They both love books and trucks! i like the number 8 for girls set. i would get it for little one. I would give this great prize to my friend. Win a $20 Gift Card to Born 2 Impress! Win a Keepsake from Scrapits! Win a Pair of Palm Palms Baby Bath Grips! Win a Package of Tooth Tissues!